Me too, Toula, me too. 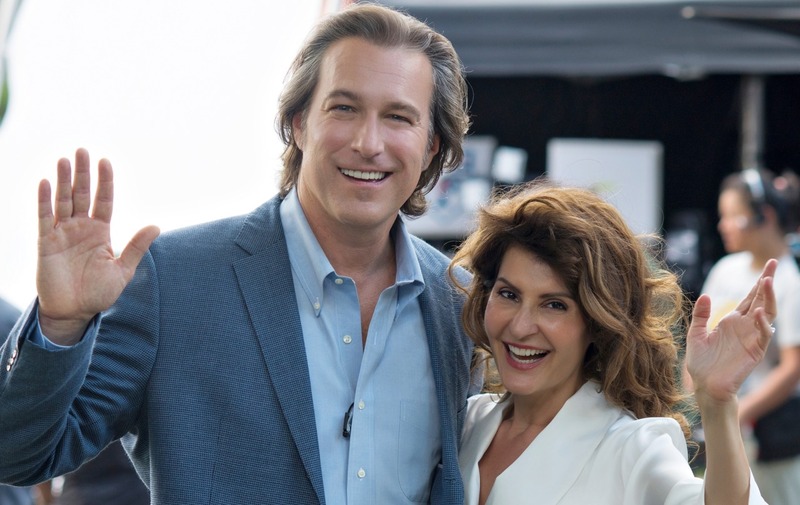 When My Big Fat Greek Wedding was released in 2002, no one expected it to become the highest grossing romantic comedy of all time (though never reaching number one at the box office: a feat no other film has achieved). MBFGW is a relatively wholesome and campy film about a young woman trying to navigate life and love as she brings an outsider into her close-knit clan. Its sequel gives another glimpse into the life of the Portokalos family years after Ian Miller has been welcomed into the fold. Toula is still assisting her parents with the restaurant, Ian is now the principal of the school he formerly taught at, and their daughter, Paris, is about to graduate. As for the rest of the family...well, they're as wild as ever. A shocking discovery by Gus, the patriarch, throws everyone for a loop and prompts an unexpected wedding that needs all hands on deck to happen. Even the Millers come along for the ride! 1. The whole cast returned! Many unexpected sequels find the original cast unavailable to return for a variety of reasons, from other commitments to budget cuts. It's clear that the fictional Portokalos family has remained close over the years as the entire original cast returned (even Yiayia). Their connections feel just as authentic as they did in the first film, mostly because the actors have been wanting to do another for years. This in itself should get fans of the first film interested. Yes, from the first film. But you'll understand why I didn't use the gif from this film after watching. The sense of humor through the first film was one of the things that made it so endearing. Its sequel bears the same trademark humor. At first I was worried that it was going to be overbearing, but those fears subsided quickly as the plot advanced. This quenched my nostalgia for the humor of the first film in way that many recent reboots and sequels have failed to do. Part of that stems from the fact that although off the wall, Toula's family is portrayed realistically (probably due to the fact that it's semi-autobiographical, based on Nia Varalados's family). Viewers see pieces of their own families on screen as well. Aunt Voula thinks she can solve everyone's problems, is the queen of oversharing, and is trying to keep up to date with all the latest technology. She's loving and cares about her family despite her overbearing nature. Maria is ever the unflappable matriarch, but we get to see a new side of her in this film, as we do with many characters that seemed almost stereotypical. We get to see growth and tradition side by side. And by growth, I don't mean Aunt Voula's twin. Yiayia, now a great-grandmother, shares a sweet moment with Paris as she considers her college options. Instead of being glad that Paris is considering staying in Chicago, Yiayia encourages her to chase her dreams. Paris realizes that she has blessing to do what she needs to do because her family will always be there for her, even states away. Family sticks together, even when life gets strange. Gus is on a quest to prove that he's related to Alexander the Great when he discovers something absolutely shocking in a stack of family documents. He and Maria's marriage license was never signed by a priest, making it invalid. Gus feels ashamed and shocked at this discovery and feels that the situation must be rectified. Although first unfazed, Maria decides that Gus needs to do things the right way (i.e. romantically) as she feels that he has taken her for granted for too long. The events that follow show that the family's assumed attitudes about things have changed a bit as well. Although Gus remains adamant that Paris date a nice Greek boy, the rest of the family stands up to him (as much as one can). The Millers are more than happy to jump in the fray and help get Gus and Maria's wedding off the ground when the wedding planner gets scared off. Just as our families have grown and changed since the first film, so have the Portokalos's. Resolve and love are just as relevant as they were when the first film was released. At the time of this film, Toula and Ian have been married for at least 18 years. Their romance, the cornerstone of the original, has been put on the back burner. In fact, fighting to make their marriage a priority again is one of my favorite parts of this film. 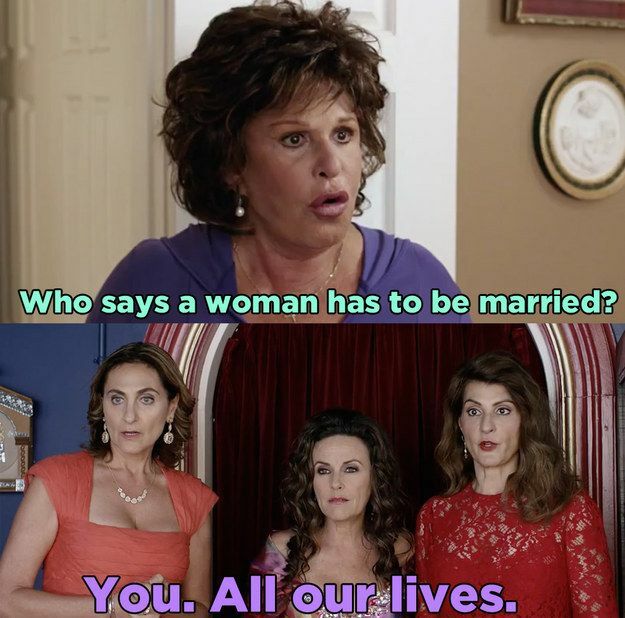 Aunt Voula sagely tells Toula that she needs to remember that she was a girlfriend before she was a mother. It's well known that an empty nest can put strain on a couple.With that impending, as well as Toula's involvement in her family (trying to fix everything for everyone), she and Ian's relationship has suffered. Through this, we viewers can tell that they truly do love each other and that commitment is what is sustaining them. In a time when a common plot point is divorce leading to happiness, it is good to have the importance of marriage and family highlighted. Although the ending is happy, it doesn't downplay life's craziness. Isn't that what made this concept so charming in the first place? What film from the early 2000s should get a sequel next?